Here are some facts about the Clifton Suspension Bridge. 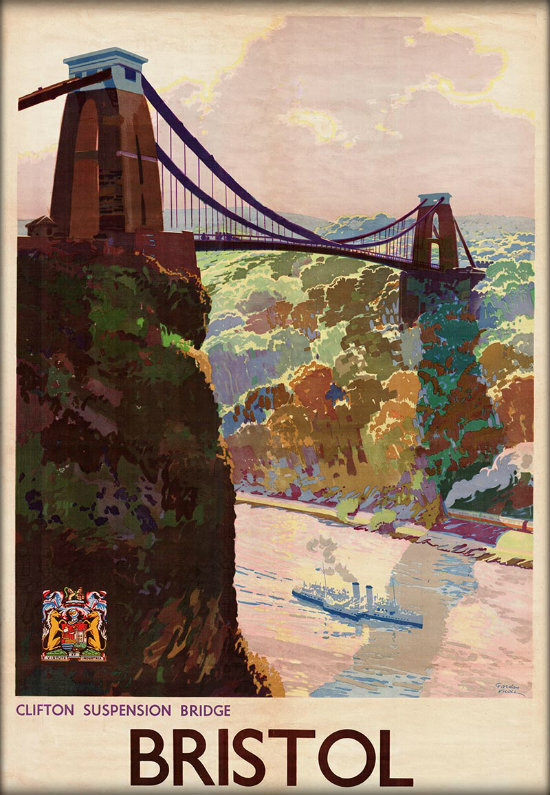 The Clifton Suspension Bridge spans the River Avon and the Avon Gorge, linking Clifton (Bristol) to Leigh Woods. The bridge is 412 metres long and forms part of the B3129 road. It is used by cars, pedestrians and cyclists. 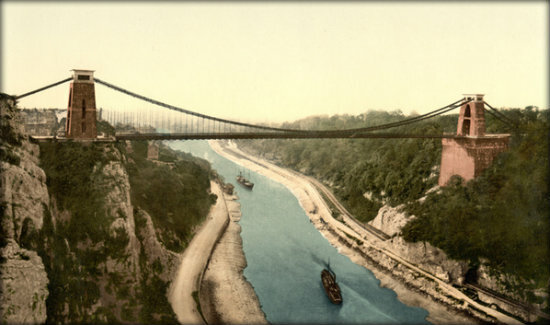 The Clifton Suspension Bridge was opened in 1864, and was designed by William Henry Barlow and john Hawkshaw. It is based on a design by Isambard Kingdom Brunel and Sarah Guppy. The bridge has always been a toll bridge. The money collected goes towards the maintenance of the bridge, which is organised by the Clifton Suspension Bridge Trust. Construction of the bridge began in 1831, but was stopped by the Bristol Riots a few days into the project. Building work resumed in 1836. Isambard Kingdom Brunel died in 1859. He never got to see the completion of the bridge. More than 4 million vehicles pass over the3 bridge every year. Two men were killed during the construction of the bridge. The bridge’s towers are 26 metres tall. The bridge weighs more than 1500 tons. During the 2012 Olympics torch relay event two of the torchbearers met in the middle of the bridge. In 1979 four men carried out the first modern bungee jump, jumping off Clifton Suspension Bridge wearing top hats and suits. the bridge is constructed from a number of materials. The suspension rods and chains are made of wrought iron, and the decking of the bridge is made from timber sleepers covered with planking and asphalt. The bridge’s towers (or piers) are made from Pennant stone and red sandstone. The bridge is more than 6 metres wide.